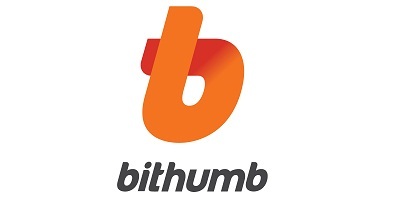 Bithumb is a cryptocurrency exchange based in Seoul, South Korea. Founded in 2013, it allows for the buying, selling, and storing of Bitcoin as well as a range of other cryptocurrencies. Not only is it one of the largest and highest-volume cryptocurrency exchanges in South Korea, it’s also among the global leaders in terms of Bitcoin trading volume. Operated by a company called BTC Korea.Com Co. Ltd., Bithumb’s headquarters are located in Seoul, South Korea. Little more than this is known about the company as there’s very little information to be found online. With regard to the platform itself, it’s simple to use with little in the way of advanced features, making it ideal for beginners who are seeking a user-friendly platform without too many complications. Thankfully, you don’t need to be fluent in Korean to be able to use Bithumb. The exchange supports multiple languages, with English, Spanish, Chinese, Japanese, and Hindi also on offer. When it comes to trading, there are three main trading options: general trading, easy trading, and reserved trading. These options offer you some flexibility depending on how you want to buy and sell cryptocurrency. As with most crypto exchanges, Bithumb is available to most countries. In fact, it even offers international customer support. However, it’s worth checking the legality of cryptocurrency in your location before trading. Also keep in mind that the only fiat currency option is the won; there’s no option to trade with USD, EUR, or GBP. Bithumb’s low fees are one of its main advantages. However, even though its trading fees are low, if you’re located outside of South Korea, you’re unlikely to benefit from this as you’ll have to factor in conversion rates and international transfer fees. While cryptocurrency exchanges make buying and selling crypto relatively quick and easy, they often disappoint when it comes to customer support. Bithumb does offer a 24/7 customer support service. What’s more, there’s international customer support available in English. So if you’re interested in using this South Korean cryptocurrency exchange, you can at least do so with the knowledge that there’s help if you need it. According to Bithumb’s official website, international calls are charged at a normal national rate. However, if you’re not keen on calling abroad, you can contact them via email. There isn’t a huge amount of information to be found in English regarding Bithumb because the vast majority of its users are based in South Korea. However, there have been some online reviews of Bithumb. The general consensus is that it’s a high-volume exchange with reasonable fees. Bithumb is South Korea’s most popular cryptocurrency exchange, as is evidenced by its high trading volumes, particularly in the case of Bitcoin. However, this exchange isn’t without its issues; 2017 saw two notable problems that made headlines in the world of crypto. In July 2017, Bithumb was reportedly hacked, with some 1.2 billion won stolen from the accounts of users. There’s some debate about the source of the hack. Bithumb denied that its servers had been hacked, stating that the home computer of one of its employees had been compromised. Whatever the case, an estimated 30,000 users are said to have been affected. Following the Bithumb hack, Bithumb announced plans to compensate users. If anything, the experience was a great reminder not to leave large amounts of currency on exchanges. Instead, transfer your coins to a wallet for safekeeping. Another problem occurred in November 2017 when Bithumb servers crashed as a huge number of users tried to sell their Bitcoin Cash. This resulted in many users losing significant amounts of money as the price dropped rapidly. Again, this sends us a message that it’s unwise to place unconditional trust in any cryptocurrency exchange, as anything can happen.  Overall, Bithumb is a simple cryptocurrency exchange that is relatively easy to use. However, experienced traders will likely prefer other exchanges due to Bithumb’s lack of advanced features. The low fees and 24/7 customer support are definitely advantages, but these may be negated by the fact that you’ll have to consider exchange rates and international transfer fees if you’re not based in South Korea. There are also some concerns about the security and reliability of Bithumb, and this is not helped by the fact that there’s very little information about the company online.